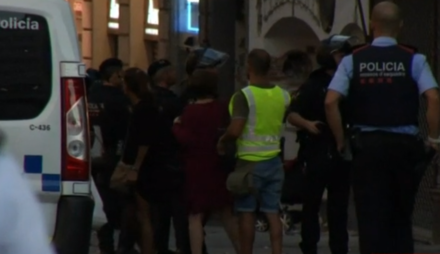 Terror has struck the streets of another European city as a van was driven into pedestrians in Barcelona. A white van veered into pedestrians at around 4pm local time in an echo of other recent attacks at Finsbury Park mosque, Westminster and Berlin’s Christmas markets. Labour’s shadow Europe minister Khalid Mahmood said: “Our thoughts are with all those killed and injured in the cowardly attack on Las Ramblas in Barcelona. “It bears all the hallmarks of similar atrocities we have seen in other cities, from Nice to London, attempting to divide our communities and change our way of life. He was joined in his sentiments by various Labour figures on twitter. Terrible reports from Barcelona. My thoughts are with those killed and injured, and the emergency services working to save lives. Fascists kill innocent people to turn us against each other. They won’t succeed. Not in Barcelona,not in Charlottesville. Not now, not ever. Sending love & solidarity from Greater Manchester to @AdaColau & our friends in Barcelona – a great city whose spirit will never be broken.